Listen below, and read on for an interview with Barnes about the ideas behind Compassion. When you announced the album, you opened up with a discussion of how you saw it in relation to recent global events and your struggle ‘to see any kind of light at the end of the tunnel.’ It seems necessary for artists to respond to these events in some way, but I also wonder why – a lot of people feel deep down that it won’t actually have any material impact on anything. 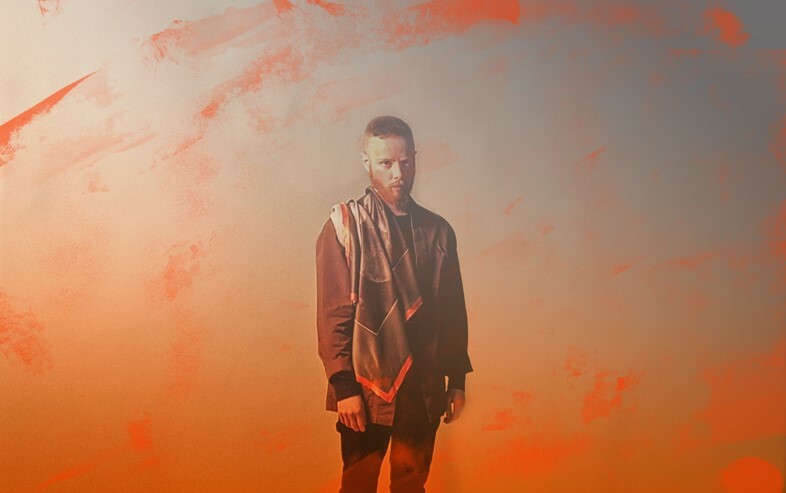 Forest Swords: Every album that comes out this year will have been impacted by what’s going on in some way – you can’t help but soak it in on some level. It feels a little bit redundant me talking about it because we’re surrounded by it constantly. It’s a call sheet of misery, and bits of the record probably echo that. What I am interested in, I guess, is looking for ways to move forward – as you say, artists can’t change things in huge, concrete ways, but we can start conversations about ways that we all can, drilling down and having an impact on a smaller, hyperlocal level. What’s going on in your community that you can affect? What’s going on with your friends – are people coping, can you help them out? It’s about chipping away, making small, meaningful shifts. That can be just as political sometimes as going out with a placard. Compassion has been a long time coming. Did you develop any interesting hobbies since Engravings was released? Forest Swords: I made an effort to go out and push myself out of my personal comfort zone a bit. I’d had a totally irrational phobia about swimming and water since I was a kid, and I woke up one day and just decided to get into a pool, the first time in 20 years. It sounds ridiculous, but it was a huge deal, and it taught me a lot about how fear can control decisions, even if you’re conscious of it or not. I tried some production for others too. Somehow I ended up with Brian Higgins, the guy who wrote ‘Believe’ by Cher and all of Girls Aloud’s stuff. He owned a big house in Kent, where every room was a different group of people writing hooks or beats – like a pop battery farm. He was looking to work with ‘underground’ producers, I guess, but he sat me down and the first thing he asked was, ‘So, are you interested in making number ones?’ Infiltrating a world like that even for a brief second felt completely perverse and hilarious. I got interested in linguistics as well. I was emailing with David Peterson – he’s a linguist, he created the Dothraki language for Game of Thrones. We were talking about how the current language we’re using is maybe not doing justice to our emotions, or how complex or fast-moving our identities are nowadays. That it needs to catch up a bit. We all communicate using images now: emojis or gifs have wide, open meanings, and have a lot of wiggle room in what they can convey to someone else. In some ways they’re more expressive and creative than using words. When I’m piecing together a vocal for a song, the actual words themselves don’t really matter – I find snippets and phrases that have some emotional resonance to me rather than really making sense, they’re wide open to interpretation. Just combinations of sounds that make me feel something. This will be the last album where I sample and reshape existing vocals, so I’ve been looking around at what I can try next. Using my own voice and playing with language feels like something new to have a go at. What does the album title mean to you? Forest Swords: I was noticing more that the media were throwing out words that instantly fell into the vocabulary people were using day to day – like, where did ‘Brexit’ come from? There were so many of these new bits of language that fell into use straight away. Social media speeds up key words being spread, and learning about linguistics – like I mentioned before – it seemed really interesting to me. So I just thought, well, why not use an album title as a seed like that? The simple idea of compassion seems like a powerful thing nowadays, and it’s more important than ever – we’re constantly told we should be angry and annoyed at each other. I need to jolt myself into remembering about it too. So if nothing else, it’s a good reminder to myself. It seemed to fit with the sound palette of the music as well – it’s more open, urgent and enveloping than anything I’ve done before. How did playing live affect your approach to making it? Forest Swords: You become more tuned in, the more you play. How certain sounds or tempos affect audiences, and how you can play around and mess with those. I’ve always kept live versions pretty similar to record because I enjoy playing them like that, but the new tracks are designed in ways that I can pull them apart and re-sculpt them in new ways depending on the space I’m in, or the energy of the audience. I’ve realised breaking tracks apart can just be really fun. When I was touring last time around I really connected with a bunch of places, so I made an effort to go back to soak them up a bit more, and try to write. Istanbul, Brighton, Bangkok, a few more. The record was finished up in the Scottish highlands with a group of wild reindeer next door. It feels a lot more world-facing than the last album which was focused on a specific place where I grew up. Just having the experience of trying out new environments filtered into the record and the artwork. What song are you most excited for people to hear? Forest Swords: When (opening track) ‘War It’ appeared, it felt like it set the tone for the rest, and everything trickled down from that. Sonically it’s a pretty good summing up of the record: it’s got these clipped brass samples, wide synths, clattering drums. It’s a track that felt like it went ahead of its own accord. I generally find that’s how all my favourite stuff happens, you just let it appear. You’re also launching a quasi-record label, Dense Truth. What are you hoping to do with it? Forest Swords: It sits somewhere between being a label and a creative studio. I’d been working with loads of talented people on various projects – choreographers, filmmakers, designers – and, playing shows, I’d been exposed to a lot of good music, too. It made sense to loop all these together somehow. I released the score to the contemporary dance piece I did last year, Shrine, through it. I’ve just released Zurkas Tepla, who’s a new producer from Moscow working with film and concept records – this one’s about a bank robbery. So I like the idea Dense Truth doesn’t really just put out music, it can also do anything: dance, theatre, film, design, whatever. It’s just about making use of all these great people and putting projects into the world that excite me, regardless of if I’m involved or not. Given your interest in developing or discovering new channels of distribution, have you ever doubted yourself doing a conventional album in the conventional album format with the conventional album pre-release campaign and conventional album tour schedule? Forest Swords: All the time. It’s easier for bigger artists to leave that kind of thing behind – you only need to look at how the likes of Future and Drake are setting things in motion. There are practical reasons – being booked for shows, for example – that smaller artists have to work within a conventional releases still, whether they admit it or not. But I think that’ll change over the next year or so. It’s going to get a lot more fluid for everyone. Certainly I’m reaching the point where I don’t know if I want to be making full albums in future – it seems more exciting and easier to put out music throughout the year and means you can try new ideas faster and collaborate in ways that don’t fit those existing structures. I don’t have any answers necessarily, but I’m looking at ways around it – I did an experiment last week telling people to WhatsApp me and I’d send them unreleased tracks, directly. I sent different things out to whoever got in touch, and many have kept on messaging to ask me questions or just say ‘hi’. It’s been really cool. I only expected about 50 at most, but I replied to about 600 in all. People seemed to dig it – it felt like an exciting way to engage with people that wasn’t in the parameters of something like Facebook, where you jump through hoops to get your work in front of people. I’m curious about doing more of that kind of distribution. I’m hoping some new channels will open up. Did any of the ideas you developed in your compositional and scoring work over the past few years feed into your approach too? 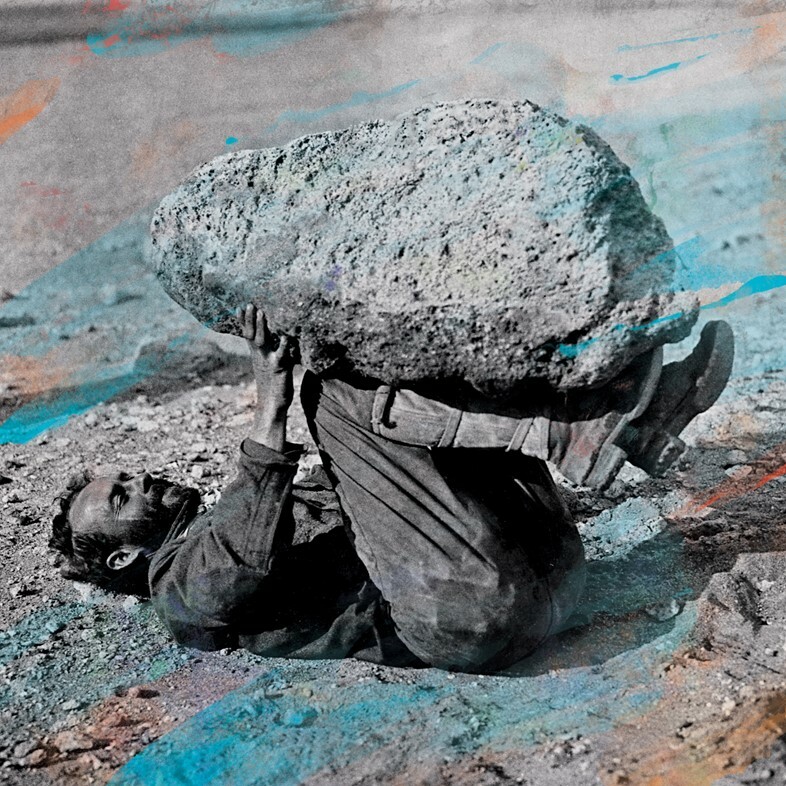 Forest Swords: Yeah, it loosened me up a bit, which definitely had an impact. So much of scoring is about breathing room, and I found that, working on the album tracks, I started to let them lead their own way. A bunch of the songs fall apart and disintegrate in places, and some are a lot more minimal than I’ve done before – I’m just not sure I’d have had the confidence to do that before. How was working with Massive Attack? Forest Swords: Just being involved with one of my favourite bands for a track or two was a real privilege. They work quite slowly and methodically and I’ve a great deal of respect for that. They don’t rush anything. One of the songs I worked on took over a year to surface – watching them do a track I’d written the beat for, in front of like 50,000 people at their Hyde Park show, was bizarre to say the least. What happens once the album’s out? Forest Swords: I’m doing a few festivals this year – Sonar, Glastonbury, Field Day, Dekmantel – and then a headline tour around Europe this autumn with a new A/V show I’m working on. There’ll be some Dense Truth projects dotted throughout this year and next. I’m looking forward to getting back to making new music. I’m going to try swimming again too.